A 5:30AM wake-up, with a 12 hour day ahead of us. 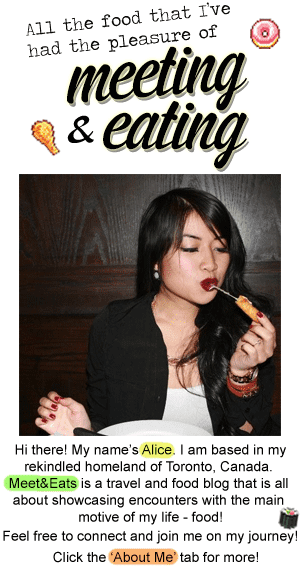 Yelp is always my best friend when we're in far off places as Markham. 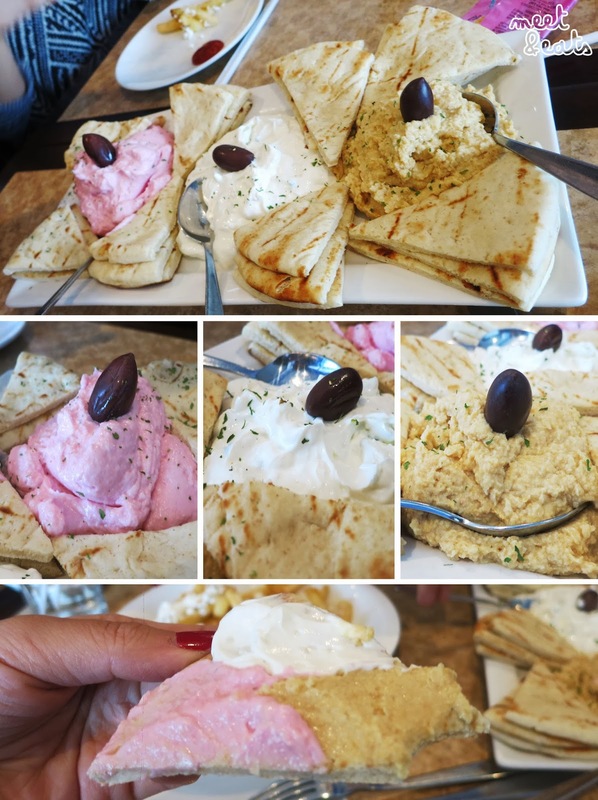 A one-hour break landed us in Loui's Kouzina, a Greek restaurant not too far of a drive away. 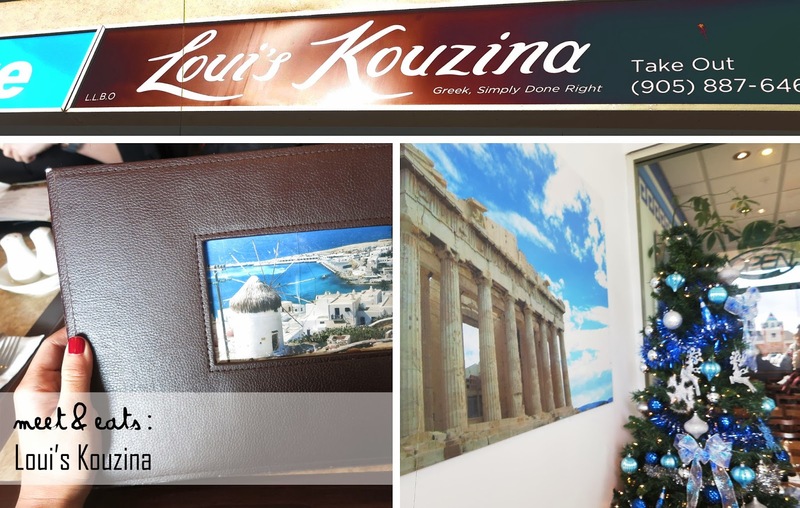 Largely for takeaway and catering, the interior of Loui's Kouzina was of a blue and white theme, with countless beautiful photos Greece. The lighting inside the restaurant felt as though we were were peeping out of windows with beautiful sights staring right at is. Happily seated for five, it was a pretty easy order. The one server was very polite and gave us a few laughs. We grabbed a few appetizers to share and a main for each. No wifi here, but the Pizza Pizza next door held up a pretty good connection. - Taramosalata: A delicious blend of red fish roe, extra virgin olive oil, garlic and lemon juice. - Tzatziki: Thick and creamy pressed yogurt blended with fresh cucumber and the right amount of garlic. - Hummus: Pureed chickpeas flavoured with garlic, extra virgin olive oil, lemon juice and tahini. We just could not choose between the three dips, The Trio was the life saver. Ordering either of the dips individually would have served the same 'dollop' of dip, so it was really more of a buy two, get one free deal. The Taramosalata was me first for me, but it was my favourite! It was amazing, I couldn't compete the Tzatziki or Hummus for second place. They were both just as great as each other. 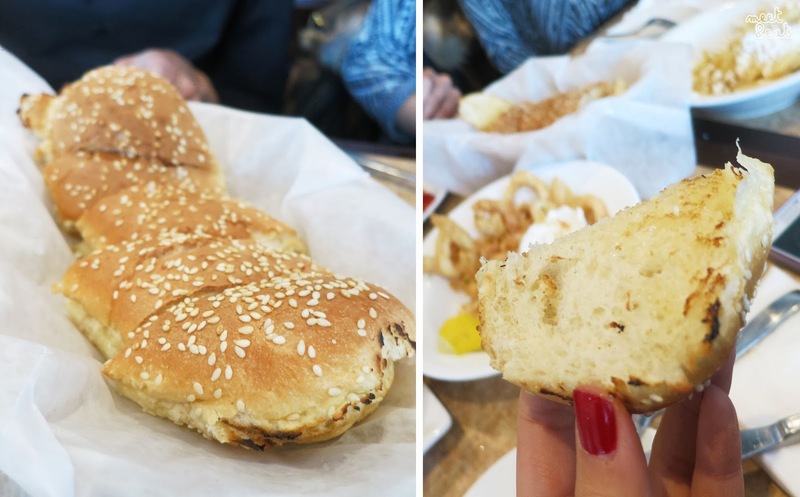 The bread was also P E R F E C T. So soft and the perfect chew. I couldn't ask for anything more, each bite was beating the next. This plate is a MUST order, a hundred percent. French Fries drizzled in extra virgin olive oil and lemon juice topped with feta cheese and oregano. 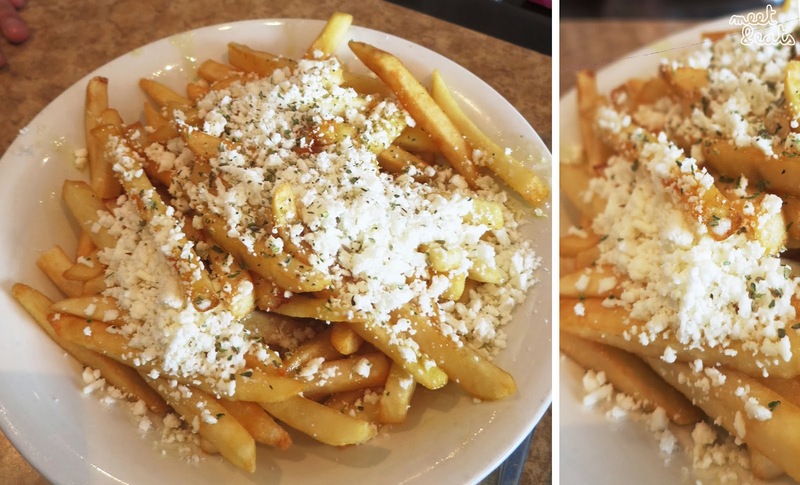 Our excitement for these Greek Fries stemmed from the expectations of smalls discs with ridged surfaces sprinkled in big chunks of Feta (especially!). The Greek Frites were nothing special here. Even after drenching it in ketchup, I felt no excitement. Lightly tossed in seasoned flour and fried served with a wedge of lemon and tzatziki dip. 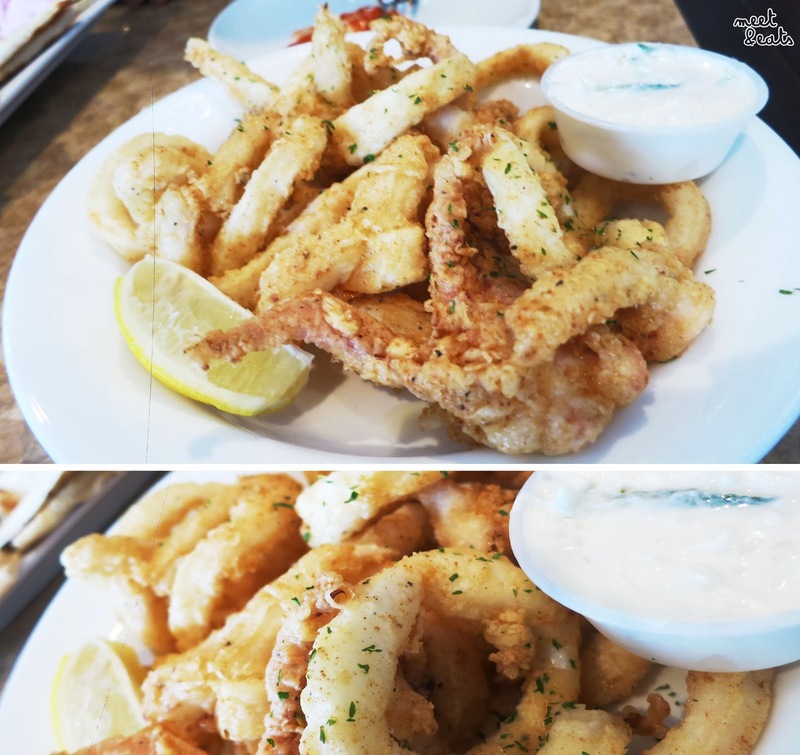 Light on the batter and seasoning, the Fried Kalamari was a a great few bites before our mains. We hardly needed the tzatziki, it tasted great as is, with just a tiny squidge of lemon. Loui knows how it is. 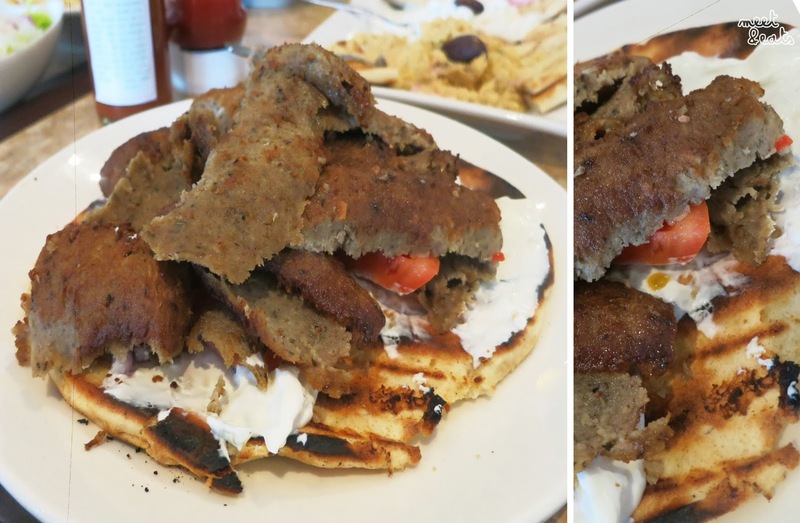 The Pork Souvlaki was on the drier side and pretty disappointing compared to the party in my mouth launched by The Trio plate (most notably, the Taramosalata) in the first half. The pita was much harder in this one, too. Comparation of the two sizes, my mate received a large helping for a small! Chicken Souvlaki, Pork Souvlaki or Gyros served with Greek salad, Tzatziki and your choice of any one item: Fried, Rice or Roasted Potatoes. My memory is faint on this one. The portions were absolutely massive for a 'small' size. I cannot imagine the Large! The Roasted Potatoes didn't spike any interest of me, and the rice wasn't as fattening and flavourful as I'd ideally like it to be. Overall, what slapped a big smile on all of our faces leaving the place, were the flavours of the delicious authentic house-made dips still lingering among our tastebuds. Definitely a taste to come back to, over and over again. My only wish is that this place was closer!